Owned in partnership... Hunt/Bambrough. 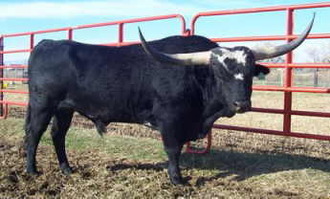 This bull has been a wonderful producer of Horn Showcase cattle as well as Show Ring cattle with great conformation, color and horns. Sire of our herd sire, Rafter B Zorro.